"X" marks the spot in this criss-cross ring! 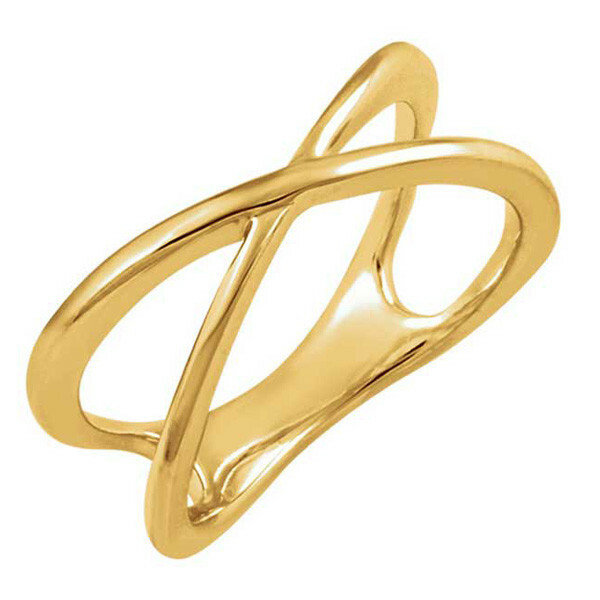 Crafted in 14kt yellow gold, the piece wraps around your finger in a continuous curl of sunny-colored shiny precious metal. The ring has a light, open and airy feel, and is totally on-trend for today's modern woman.